The functional format when writing a resume is extremely helpful if you have a unique situation such as a gap of employment or if you are planning a career change. Here is a more detailed explanation of how to use this format to present your strengths. There are a million unique situations, and no two applicants are the same. Don’t be discouraged if you don’t fit the traditional employment route. In today’s economy, employers understand the difficulties facing individuals. 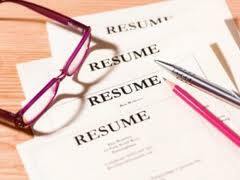 The functional resume highlights the applicant’s skills rather than employment history. For this reason, it is especially helpful for those who have a large gap in employment (more than a few months), those who are planning or have recently made a career change, or those who have other unique situations. If you have even remotely close to a consistent employment history or if your career change is only slightly different that your previous work, stick with the Reverse Chronological Format. While the functional resume is extremely helpful for those with unique challenges, it is much less common. The functional resume layout is bit different from other formats. It has very little emphasis on previous employment. Rather, the bulk of the attention is given to applicable skills that the individual has to offer. However, some parts will remain the same such as the heading (your name and contact information), professional profile or entry-level objective, education/training, and technical skills. The best way to highlight your skills is to choose between 3-5 strengths that would transfer nicely to your targeted field such as leadership, team building, efficiency improvement, etc. Choose wisely for your targeted field and keep them to a minimum. Then, under each strength list 1-2 things that you have specifically done in the past that demonstrates each strength. Typically these are put in bullet form on the resume as proof of your abilities. To put it all together, here are few layout options. Again, these layout options are only suggestions and can be rearranged to fit your needs. The key with this format is to show hiring managers that you have the necessary skills and abilities that they are looking for in a new employee. For more help with creating with creating a Professional Resume, check out our other articles and writing services today! Subscribe to our mailing list and receive updates on new articles and helpful advice to make sure your professional resume and cover letter stands out from the crowd!